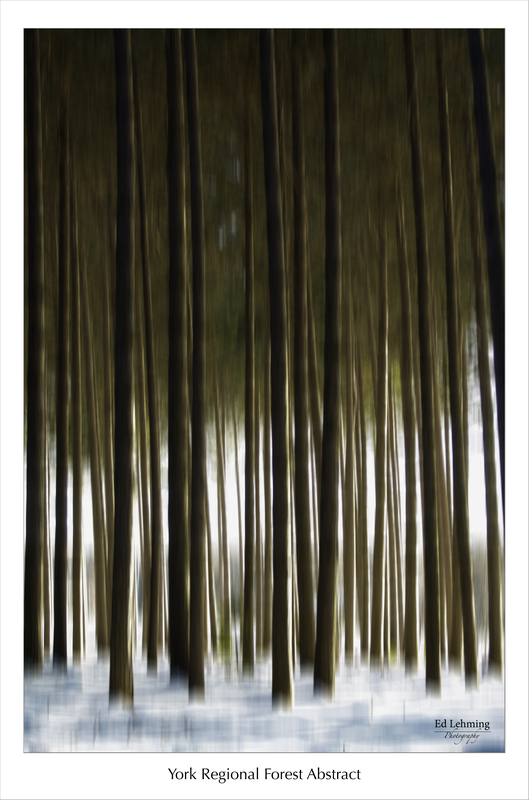 Another abstract using the strong vertical lines of these trees. 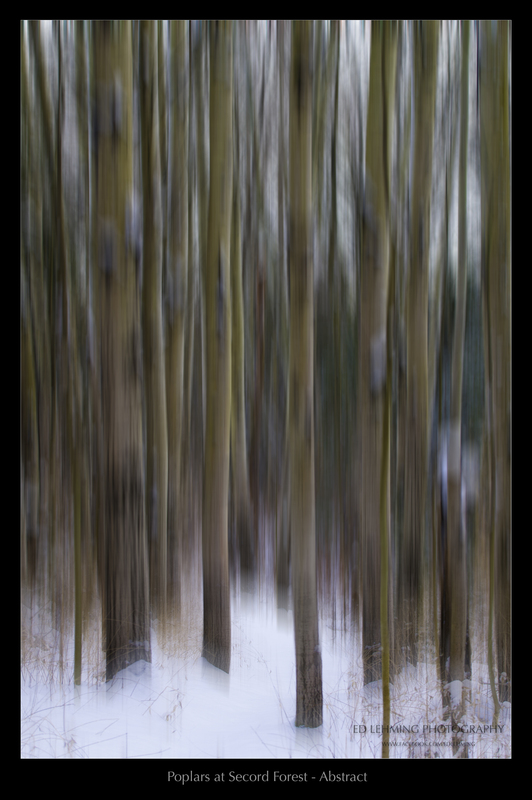 The light was just right to bring out the subtle colours in the small grove of trees. This entry was posted in Photography on December 19, 2013 by Ed Lehming Photography. 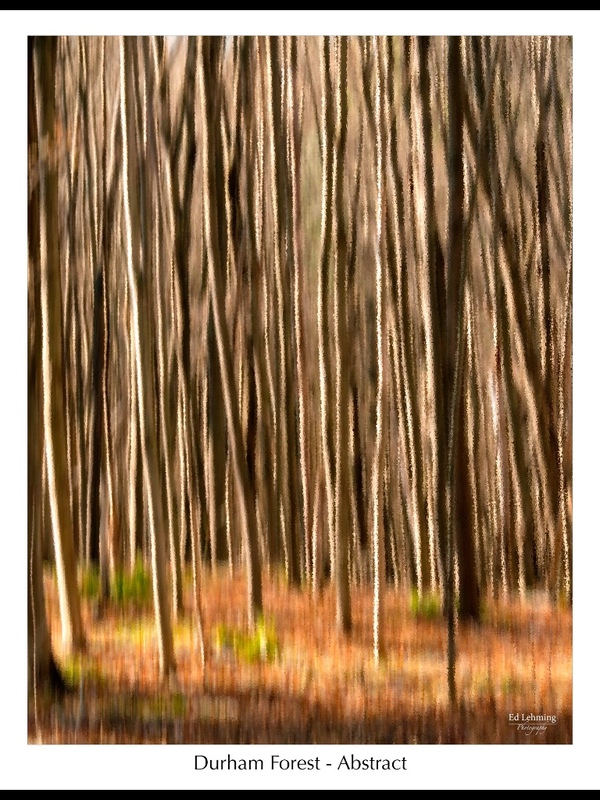 In the midst of a primarily pine and oak forest of the Walkers Woods trail area is a small copse of dense young maples that offers strong vertical lines. This area is such a strong contrast to most of the region. I missed the peak colour change this year, but there was still enough colour on the forest floor to add some brightness to this shot. I have spent a lot of time on the various Durham trails. It is such a diverse area that there is always something new to see and new trails to explore through the different seasons. This entry was posted in Photography on December 13, 2013 by Ed Lehming Photography. I love doing the effect in camera. With the right light and strong vertical lines, you end up with what looks like a painting and it is never the same twice. A nice view of Monterey Harbour. The tide was low, revealing rocks clearly. The lupine and rocks helped frame the shot nicely, and the sky was a wonderful mix of clouds and turquoise.